INDUSTRY.co.id - Jakarta - On the eve of the peak of the reverse flow, the national energy and energy resources ministry (EMR) team reported the availability of all types of fuel oil (BBM) monitored normally until Tuesday night (19/6/2018). "The condition of national fuel supply and distribution is running normally, compared to the previous day, the consumption of all types of fuel began to increase," said Head of Communications Service Public Information and Cooperation (KLIK) Ministry of ESDM Agung Pribadi in Jakarta, Wednesday (20/6 / 2018). The realization of the use of Premium is 33,477 kilo liters (KL) with 24 days coverage days, Solar / Akrasol 15.592 KL (20 days), Pertalite 48.478 KL (24 days), Pertamax / Akra 92 21665 KL (20 days), Pertamax Turbo 770 KL (38 days), Kerosene 1.694 KL (41 days), Pertamax Dex 435 KL (47 days), Dexlite 505 KL (20 days) and Avtur 16,599 KL (28 days). In addition, the Government also guarantees additional access to Premium distribution at 571 SPBU Reborn (gas stations that redistribute Premium) which has been running since June 14, 2018. 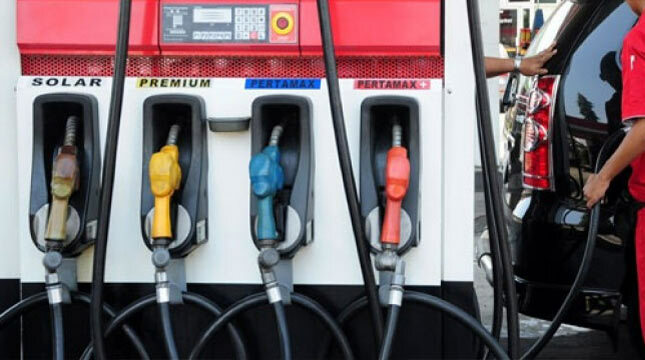 "BPH Migas and Directorate General of Oil and Gas have conducted direct monitoring to most Reborn gas stations to ensure premium distribution smoothly, and the rest will be monitored further," said Agung. The fuel durability assurance reinforced by field monitoring results shows that there is no Fuel Terminal (TBBM) with critical stocks where TBBM is connected with a stock pipe for more than 3 days. Related to the provision of national electricity, although there are 2 standby power systems in Lombok and Jayapura, the EMR Command Post team recorded 20 electrical systems running normally. Overall National Supply Ability of 30,274.36 MW and Peak of 25,714.02 MW so that the National Power Reserve capacity is 4,496,74 MW. Although the status of standby, but electricity distribution in both areas as a whole is not disrupted because the system is stated alert because the electricity reserves are smaller than the largest generator. Details, indicated turbine disruption in the Lombok System due to PLTU LED unit 2 (25 MW) turbine protection trip. While the Jayapura system, caused due to interference in PLTMG Block I (78 MW). To keep the system back to normal, PLN will operate the Mobile Power Plant Jeranjang 2x25 MW Lombok as needed. As for the Jayapura system, PLN accelerates Circuit Breaker improvements and maneuvers several power plants as needed.